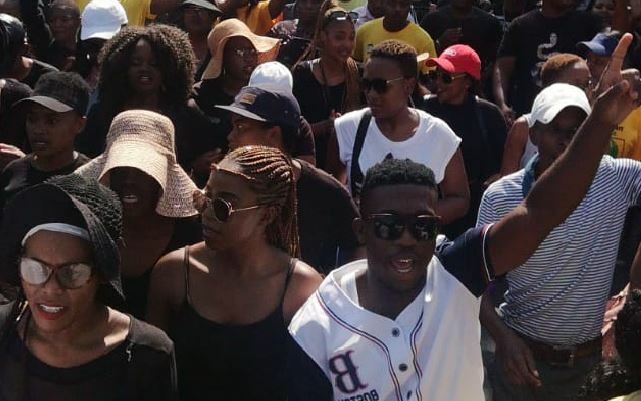 A march to the Polokwane Police Station under the hashtag #JusticeForThoriso is currently underway, and another is planned for later on Friday. Various stakeholders have come together to march in unity against the horrific murder of Thoriso Themane, reports Polokwane Review. Themane’s body was found dumped on Erasmus and Cestrum Avenue in Flora Park, Polokwane, on Saturday after being bludgeoned to death by a group of students from a local high school. The group is currently in Suid Street, moving to Schoeman Street towards the police station. Later in the afternoon, another march, which was planned by family and friends of Thoriso will take place in Flora Park. The march will start at 4.30pm and proceed to Thoriso’s family home at 32 Cestrum Avenue.